The days of compiling high-quality photos into a lookbook and carrying around a bag of sketches and business cards are quickly fading as we turn into an era of digital solutions. Interior designers are having to adjust to showcasing their hard work on a website. Unfortunately, not just any ordinary website does the job anymore. 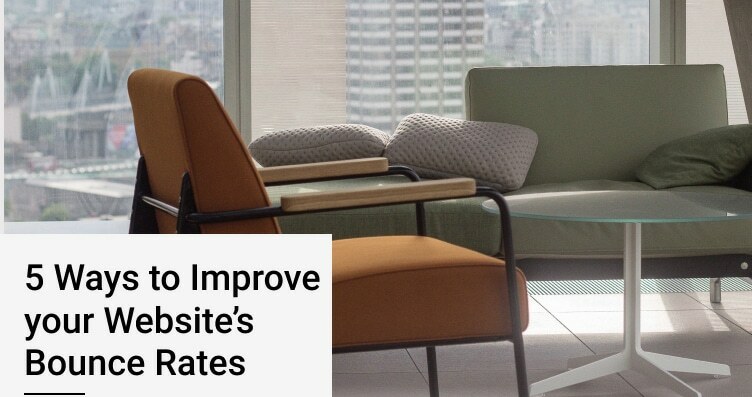 We have compiled a list of some of the best practices interior designers can implement into their website in order to scale their business digitally. Every story needs to be thoughtfully told and shared in the right places. To make sure you have developed a good story, ensure you include the ‘5 C’s’: Circumstance, Curiosity, Characters, Conversations, and Conflict. By laying out the groundwork of the story, your audience will be able to understand the starting point of your interior design career. By adding some curiosity will keep the readers engaged. Next, introducing characters goes hand-in-hand with keeping the story relatable and realistic and using dialogue makes the story engaging and interesting. Lastly, without conflict, you really don’t have much of a story. On websites, knowing where to tell your story is important. A common mistake is assuming your website users will dig deep enough to find the information they need. We highly recommend adding an “about” page for your audience to easily discover you, your team (if applicable), and your business’ story. As interior designers, you probably have an array of design solutions based on different client needs. One important aspect to remember on a website, however, is to narrow your solutions down to allow your business to stand out against the competition. What general style do you gravitate towards? Where do you design (commercial, hospitality, residential)? These answers will help you build an aesthetic profile for your website. Your brand encompasses your business’ personality. Branding is one of the most influential aspects when it comes to purchasing decisions. As an interior designer, it is important to take your story, your target audience, and the personality of you and your business to form a strong brand. When it comes to building your portfolio, you may immediately jump to the conclusion that showcasing many images will show your audience that social proof they need in order to trust you. What is actually more influential, however, is choosing the best quality images that speak to your target audience. When thinking in terms of who you are trying to convert, ask yourself what your target audience would be looking for in terms of portfolio. Next, choose the best images from your previous projects and don’t overwhelm them by showing too many. We say “feeling” because that is exactly what it is. When it comes to websites, sometimes the fonts may not portray the right message and the images may be scaled too large. 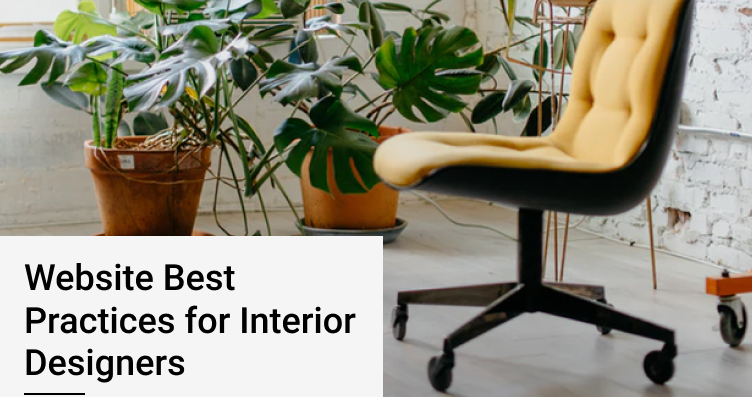 We hope this helps lay out the best practices interior designers can implement into their websites to help communicate their business more efficiently. 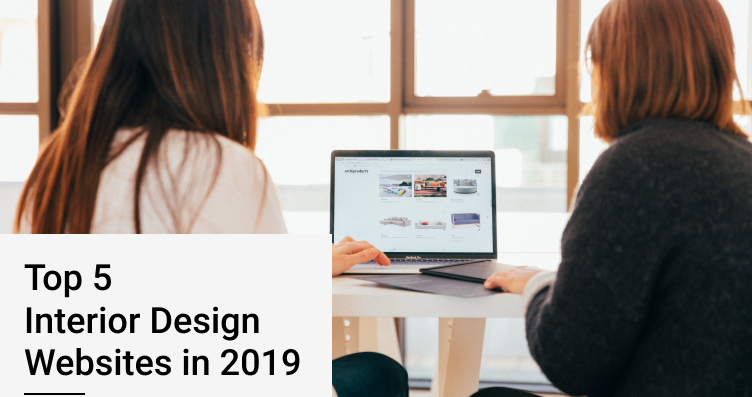 If you need a little more help along the way, make sure to download our free web design checklist made just for interior designers!